1. Read all of the rules. Do it. For real. It’ll save both you and us time. 2. Create an original work showcasing your idea for a SOLUTION or STRATEGY to fix the very real problem of reckless and distracted driving. While you’re making your awesome entry, don’t use the word “accident.” Use “crashes” or “collisions” because it’s not an accident to choose to drive distracted. Also, look at the bottom of this page for legit statistics to use in your entry. 3. Make sure it meets ALL requirements for your category. Requirements are listed in the rules. Of course, you will have already read those once before reaching this step. Go double check anyway. 4. Create an account and login to the Create Real Impact website. 5. When your entry is proofread, double checked, and all ready to go, click “Submit Entry” on the front page. You’ll be taken to the entry form. Select your entry type and upload your entry. 6. Complete the entry form and click “Submit” to finish your admission into the Create Real Impact Contest! Feel free to use these statistics provided! If you do some research on your own, please make sure you are using reputable sources. It can be tricky to figure out the good stuff from the made up numbers floating around the internet. 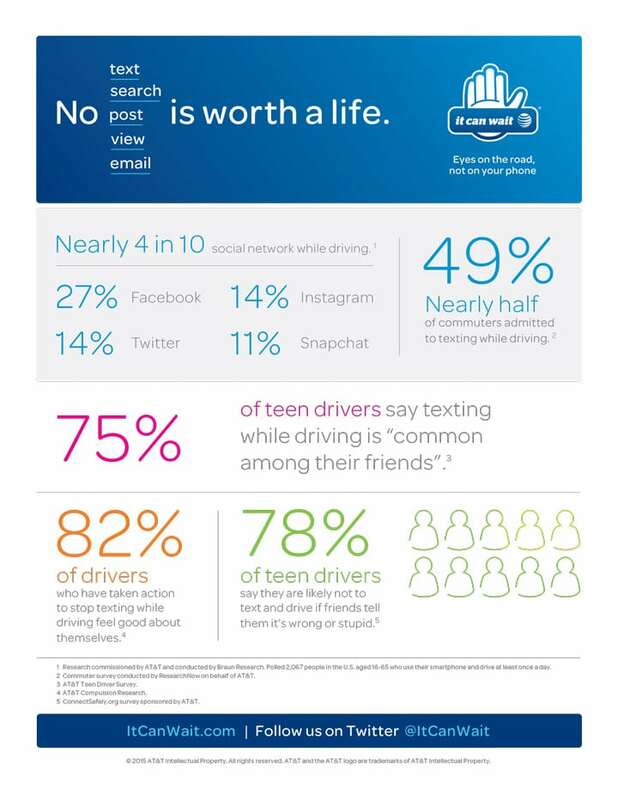 (Just FYI: 11 teens do not die every day from texting and driving, but 11 teens do die every day from car crashes. About 4000 teens lose their lives in crashes each year. 75% of fatal teen car crashes do not involve drugs or alcohol. 50% of the people who lose their lives in collisions each year would still be alive if they had worn a seat belt. About 11 teens die every day in collisions. At least 1 in 4 of all car collisions involves phone use. Parents are the number one influencer of teens driving attitudes and behaviors. 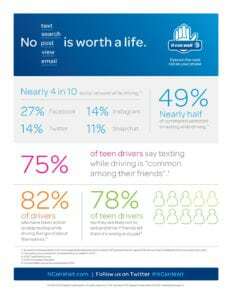 50% of teens killed in car crashes were being driven by another teen. The risk of crash doubles with one passengers under 21 years of age. The risk of crash quadruples with three or more passengers under 21 years of age. Requirements include that your art entry must be a poster, an infographic, or a brochure. If you are creating a poster or an infographic, you will be submitting 1 file. If you are creating a brochure, you must submit one (1) PDF file. Requirements include that your video must NOT include any footage of dangerous or reckless driving or driving that is in violation of California Vehicle Code or any California law. Yes, even for people who live in one of the other 49 states and D.C.
What are some examples that could get you DISQUALIFIED? The driver is holding a phone in his or her hand or using a phone in any way while the car is moving. The driver or any passengers do not have a seat belt on while the car is moving. Being distracted while actually driving, such as putting on make up, eating, or using a GPS. Being reckless while actually driving, such as speeding, swerving, or racing. The above list contains some but not all of the reckless and distracted driving choices that could get you disqualified. It does not matter if you are driving in the middle of nowhere, in a parking lot, or very, very slowly while demonstrating reckless and distracted driving. This contest aims to STOP the #1 killer of young people in America, not to encourage unsafe driving. Get creative. Be safe.